This year’s August visitor is Bassey Ikpi, a Nigerian born poet/writer who featured in the National Touring Company of the Tony Award winning Broadway show, Russell Simmon’s Def Poetry Jam. Ikpi who has cultivated a successful career in the States has always dreamt of performing her poetry in her homeland. In August, she will make that dream a reality. After almost twenty years away, Ikpi will be coming home to Nigeria. During her visit, she will be headlining performances in Lagos and Abuja. She will also be hosting a poetry slam competition for aspiring poets of all levels of experience. Details of the competition will be revealed on Wednesday, 25 April. 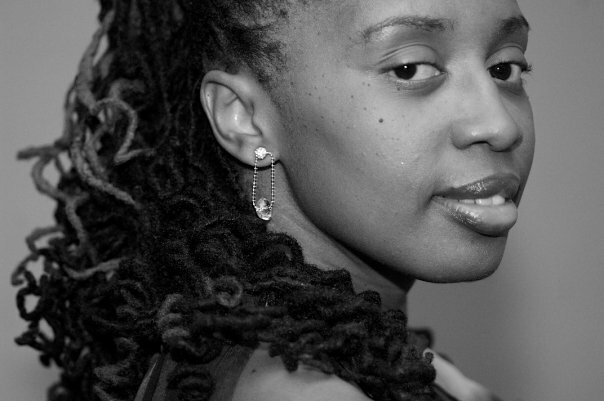 Ikpi is not a stranger to the stage and her poetry has also opened shows by Grammy Award winning artists, has earned her standing ovations at the NAACP Image Awards as part of a tribute to Venus and Serena Williams, at South Africa’s annual arts festival, Joburg Arts Alive and at The United Nations Annual. As it relates to media, she has graced the pages of such notable publications as Nylon, Marie Claire, Glamour and Bust. With social commentary being a focus of her work, she has recorded original poems for the Kaiser Foundation’s, HIV/AIDS campaign; Knowing Is Beautiful and There is No Comfort In Silence for Global Grind in partnership with Bristol-Myers Squibb and World AIDS Day, along with working as a freelance writer for several media outlets on the topic of mental health and pop culture commentary including Ebony, The Huffington Post, Essence.com, XOJane.com and TheRoot.com. Following the suicide of a young friend, Ikpi founded a non-profit organization, The Siwe Project to help spread mental health awareness in the global African community. In the meantime, linked below is Bassey’s signature poem about her relationship with her grandmother and her connection to her homeland.